It looks like the second generation of Samsung’s voice assistant could be with us within the year. Speaking at MWC 2018, Samsung’s mobile chief seemed to confirm that the plan was to launch Bixby 2.0 at the same time as the Note 9 in 2018. Of course, this isn’t the first time that we’ve heard rumblings of a release of Bixby 2.0 so it’s worth taking this prediction with a generous pinch of salt, although it coming from Koh himself does make it a little more likely. 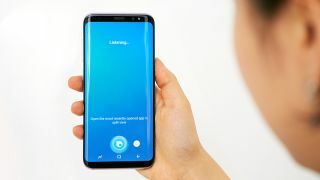 Of course, for those in the English speaking world, “fast rollout” isn’t exactly a phrase you’d associate with Bixby, with many months of delays plaguing the release. Now, current predictions place the launch of the Note 9 in the middle of 2018, before Samsung’s Bixby smart speaker is supposed to be hitting the market. In a market already dominated by Amazon’s Alexa, Google Assistant and Apple’s Siri, Bixby 2.0 will need to be a serious improvement to make it a real contender. Watch this space.